Nick Felkey Digital Services is now offering computer repair services for Bainbridge Island and surrounding areas. 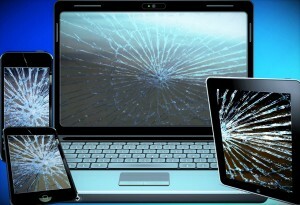 We work on all tablet’s, PC’s including Mac’s, laptops and Smart Phones. The computer repair service covers hardware, software and virus removal. We even cover the minor issues that just take a few minutes to clear up. If you have a question about our computer repair services you can contact Eric or call 206.842.9333. This is for work on a device that is left in the shop for hardware work or replacement. *Does not include cost of hardware. This is for work on a device that is at your residence or office for hardware replacement and software issues. *Does not include cost of hardware. If you are experiencing unexplainable issues or are suffering a possible virus issue we will trouble shoot it and apply that to the cost of the fix of the problem. *Does not include cost of hardware. If you need help setting up a backup solution for your computers we will help set it up and make sure the first backup is completed. We can do this to a cloud program or if you have an external drive we can put your backup solution. If you have sent your device to the manufacture or have purcased a new computer and have backed up your data on a backup solution and need assistance retrieving it we will assist in that. This does not including software install or resetting up your software. There is no limit on devices or email accounts. If your laptop, phone, tablet needs a quick tune up or if you just need some assistance looking on how to accomplish something we will gladly walk you through it. If you truely need the device back same day. *Does not include cost of hardware.